Thematic review of Global History. 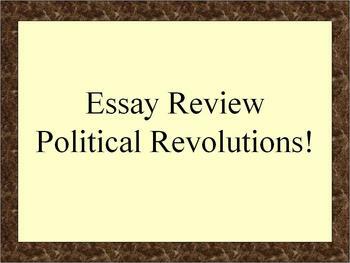 This bundle focuses on Political Revolutions. Download the full preview to see all that is included. Designed to review content through essay and multiple choice questions, this review contains a content power point (9 slides), a graphic organizer for the essay, and 50 practice multiple choice questions (complete with teacher key). 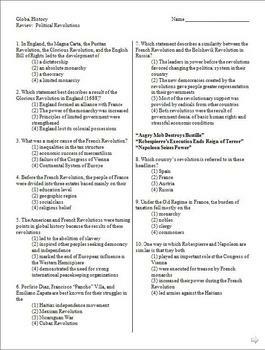 Also included are lesson suggestions and observations about the Regents exam and about when and where these questions occur. 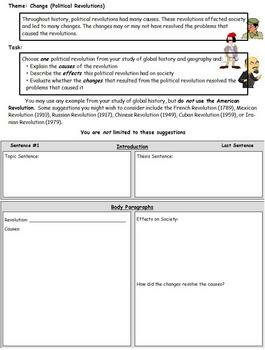 Although the materials were created specifically with the New York State Regents exam in mind, Global History themes are universal. Undoubtedly, these materials will be adaptable to Global History curriculum needs everywhere. Global History. Thematic Essay. Review. Review materials. Practice questions. New York State Regents Exam. 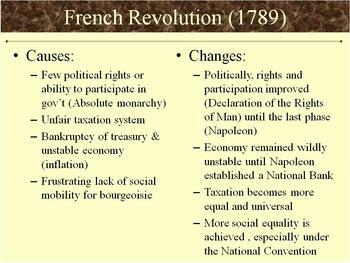 French Revolution. Russian Revolution. Chinese Revolution. Iranian Revolution. Cuban Revolution.